Our mission and dedication are to create intelligent systems that can autonomously operate in a complex and diverse environment, with multiple perception approaches. We are fascinated by novel robot concepts that are best adapted for acting with large-scale and dynamic environments and different terrains. We are furthermore keen to give them the intelligence to autonomously navigate in challenging environments. This includes novel methods and tools for human-robot interaction, perception, cognition, knowledge abstraction, mapping, learning, representation, planning, and execution. 10.2018 Ming received 2018 IROS Toshio Fukuda Young Professional Award. He is being recognized: “For outstanding contributions to mobile robot path planning and control.” This award recognizes individuals (from academic institutions, government, industry, or research labs) who, in their early career, have made identifiable contributions that have had a major impact on intelligent robots and systems. 10.2018 Ming and Qing Liang participated IROS 2018 in Madrid, Spain. Our paper got the Best Student Paper Finalist Award. 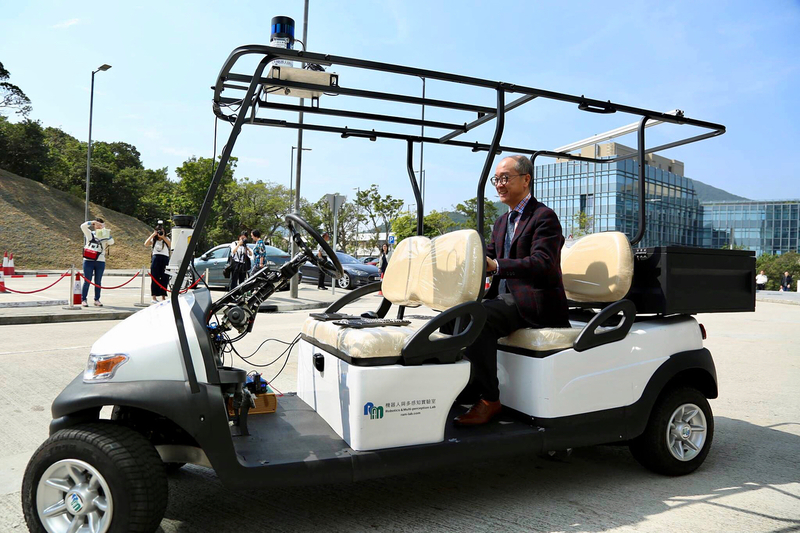 08.2018 Ming contributed a column article “Real paradox as self-driving age nears” for the HK Standard. 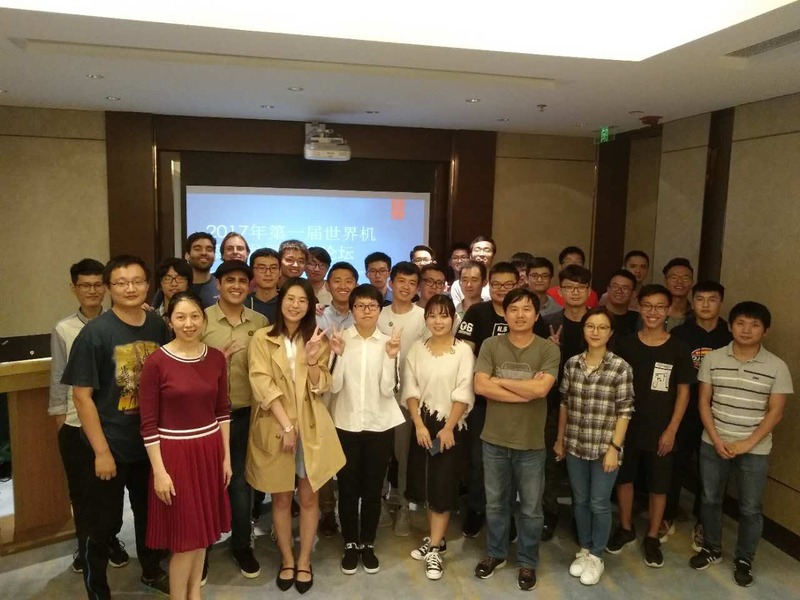 08.2018 Ming presented “ How Robots Are Improving the Lives of People with Disabilities” for IEEE Transmitter. 08.2018 Welcome new Ph.D. students Peide Cai, Huaiyang Huang, Yang Liu, Hengli Wang, Sukai Wang and Xiaodong Mei joinning on Aug, 2018. 08.2018 Ming is on the review committee board of Israeli Ministry of Science and Technology. 08.2018 Ming presented Keynote talk and joined discussion at the APAS Annual Showcase. 07.2018 Ming and Muhammad Usman Maqbool participated CYBER 2018 in Tianjin. Our paper got the Finalist of Best Paper Award. 07.2018 M Usman Maqbool Bhutta and Liang Qing are invited to introduce Lisee Technology at IET-YPEC 2018. 07.2018 Our paper “Autonomous exploration of mobile robots through deep neural networks” was selected as one of top read articles from International Journal of Advanced Robotic Systems. 07.2018 Welcome new lab member Rui Fan joining on 3rd July, 2018. 06.2018 Prof. Ming Liu attended and served 2018 CCF-GAIR as Session Chair in the Computer Vision section. 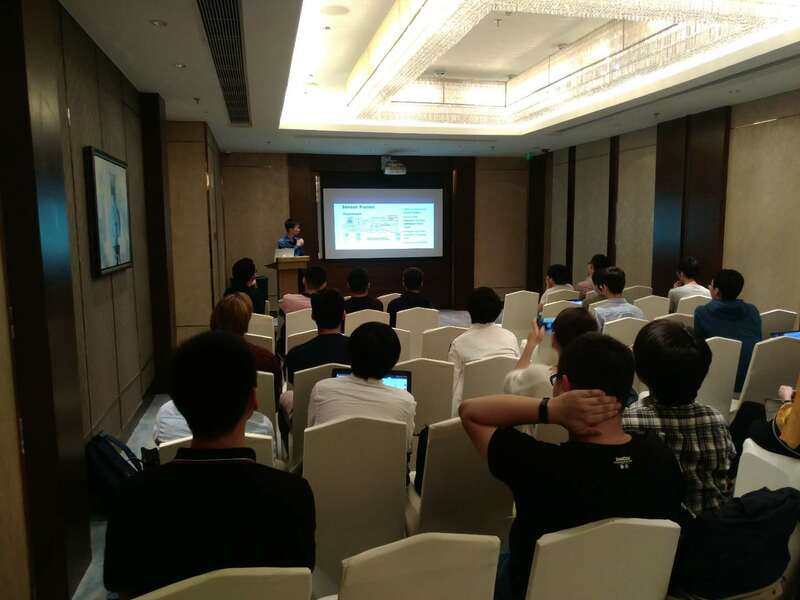 06.2018 Prof. Ming Liu participated GIV 2018 and gave a keynote talk. 04.2018 Group of French visitors, including the consul general Mr. Eric BERTTI, visited us. 04.2018 The minister of education of China visited us. 04.2018 The president of Country Garden visited us. 02.2018 Ming is now IEEE Senior Member, thanks to the support and help of everyone! 09.2017 Thanks to the team work, we successfully participated and contributed to the “Robotics Day” of HKUST. Over 20+ media including TVB, China Daily, Xinhua Net, Sina, Yahoo, covered our work within the first 12 hours!! 09.2017 Ming and Lei attended IEEE IROS 2017 in Vancouver, Canada. 09.2017 Ming will serve IEEE IROS 2019 as organization committee member. 09.2017 Ming starts serving CONICYT (Comisión Nacional de Investigación Científica y Tecnológica, Chile) as engineering panel reviewer. 09.2017 Ming will serve IEEE ICRA 2018 as Associate Editor. 09.2017 Ming starts to serve Robotics and Automation Letter (RA-L) as Associate Editor. 08.2017 Ming presented “How Robot Learns” for IEEE Transmitter as representative of China area. 08.2017 Ming will serve 2019 IEEE Conference on Control Technology and Applications (CCTA 2019) as local arrangement co-chair. 07.2017 Our paper Point-cloud Compression Using Data Independent Method - A 3D Discrete Cosine Transform Approach got the Best Paper in Automation Award of IEEE-ICIA 2017. 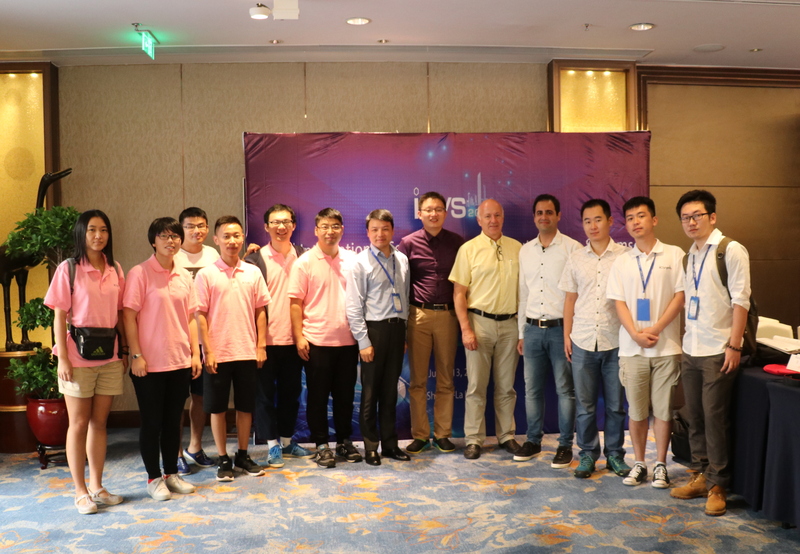 07.2017 We successfully hold the ICVS 2017 in Shenzhen, China, 9-12 July. Overall, there were 18 technical sessions including three plenary and keynote talks by Prof. Roland Siegwart, Prof. Hesheng Wang and Prof. Yongchun Fang. Over 85 participants enjoyed the three-day event with us. Thanks a lot for your great support and kind help! The selected papers from ICVS will be published by Lecture Notes in Computer Science, LNCS, Springer later this year. 07. 2017 Our paper PCA-aided Fully Convolutional Networks for Semantic Segmentation of Multi-channel fMRI got the Best Student Paper award of IEEE-ICAR 2017. 04.2017 New server starts on the university ITSC servers. 04.2017 We successfully held Educational Robot Workshop at HKSTP. Please support our platform Thymio-II wireless. 03.2017 Ming will sever IEEE IROS 2017 as Associate Editor. 02.2017 Welcome smallest lab member joining on 15. Feb. 2017. 12.2016 Welcome PhD student Ms. Yuying Chen to join us! 12.2016 Ming will serve IEEE CYBER 2017 as regional Program Chair, in the USA. 12.2016 Ming will serve IEEE MFI 2017 as Co-Chair for publicity, in Korea. 10.2016 From 29.10.2016 to 06.11.2016, we participate InnoCarvinal at HKSTP with the project “B-free in City” (Cybathlon) and “IntoRobot Platform”. 10.2016 Ming participated HCR 2016 in Shanghai and gave keynote talk, China. 10.2016 We participated IROS 2016 in Daejon, Republic of Korea. left to right: Lei, Ming Lei presented our paper about deep learning in robotics pdf and our recent work on deep reinforcement learning (arXiv:1610.01733v1). 10. 2016 We represent CityU, cooperating with B-Free company, to take part in the Powered Wheelchair Race of Cybathlon Competition in Zurich, Switzerland organized by ETH. Our team, B-Free in City, safely completed all tasks with full-marks and 358s in the final race and ranked first in B-Final and 5th in all teams(12). 10. 2016 We participated the tea gathering of MBE Department. Lei presented a poster to new PhD. students and staffs of MBE. 10. 2016 Welcome Research Assistant Giuseppe Paolo from ETH. 09. 2016 Lei and Qinghai join the Cognitive Context Reasoning for Computer Vision (CCRCV 2016) with teamates from CUHK and Baidu. Our team cityblaze now ranks No. 18 in the preliminary round. 09. 2016 Ming serves the ICRA 2017 as Associate Editor. 09. 2016 Welcome PhD student Usman Maqbool Bhutta from Pakistan who won the shahbaz sharif merit scholarship and more than 15 news in Pakistan reported this. 09. 2016 Welcome PhD student Haoyang Ye from Zhejiang University. 08. 2016 Welcome PhD student Qing Liang from Beihang University. 08. 2016 Welcome Research Assistant Junli Wang from City University of Hong Kong. 08. 2016 Welcome Research Assistant Lionel Trebuchon from ETH. 06.2016 Our paper on Visible Light Communication-based localization is accepted by IEEE Robotics and Automation Magazine (RAM). Congratulations! 06.2016 The 2016 IEEE International Conference on Real-time Computing and Robotics (IEEE RCAR 2016) concluded succesfully in Angkor Wat, Cambodia. Thanks a lot for all the help and support we received over the past year! 01.2016 Ming will serve as Associate Editor for IROS 2016 for the first time. 01.2016 We are finally move to our new lab place. End.2015 May each and every day of yours be renewed with lots of happiness and love. Happy new year 2016! 12.2015 Ming participated ROBIO 2015 in Zhuhai. We won Finalist for Best Student Paper Award. 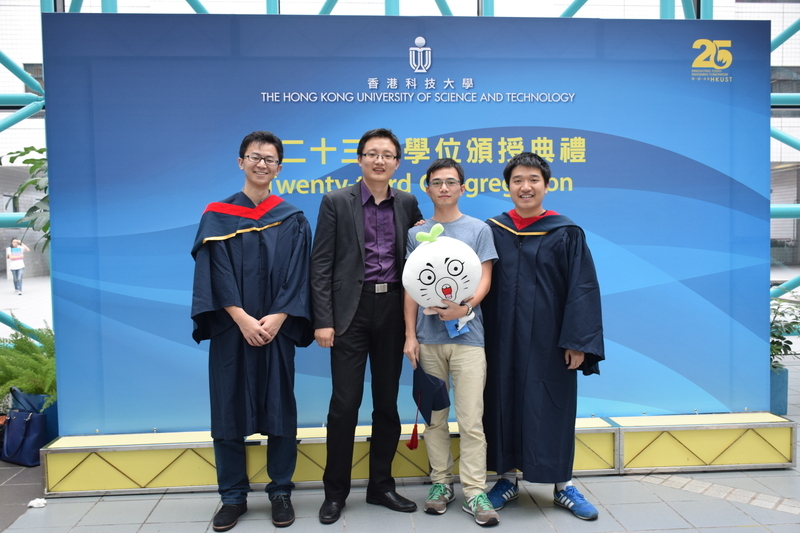 11.2015 Ming participated the congregation at HKUST with former lab graduates: Yangang, Kejie and Guoyang. 11.2015 We released the calibration toolbox for omnidirectional camera, please visit GitHub for detail. 11.2015 Welcome Research Assistant Sun Jinhong. She will be working on IoT and mobile robot. 10.2015 Welcome exchange Master student Jonas Eichenberger from ETH Zurich. He will be working on visual navigation for the whole semester. 09.2015 Ming Liu participated IROS 2015, Hamburg. 09.2015 Autumn lab retreat to sailing! 09. 2015 We have submitted four papers for ICRA 2016, with collaborators from EPFL, ETH, CUHK and HIT. 09. 2015 Welcome PhD student Qinghai Liao! 09. 2015 Welcome PhD student Lei Tai! 08. 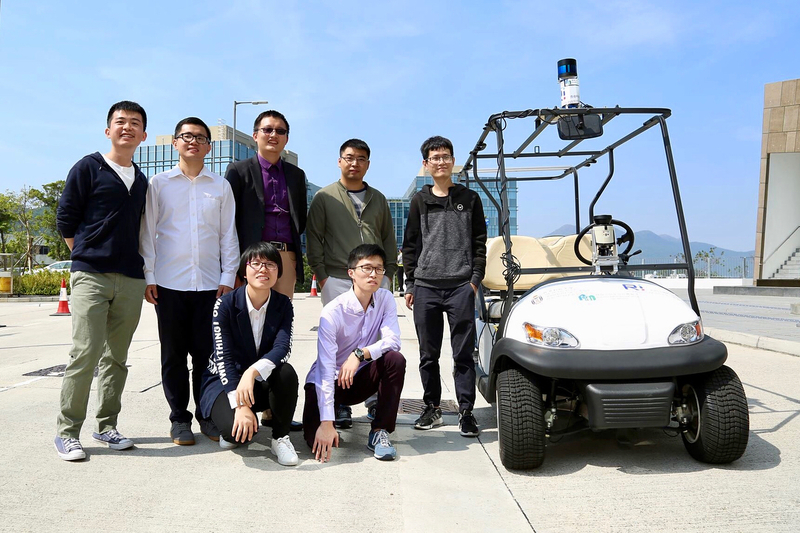 2015 Guoyang Xie is graduated as MPhi., with thesis “Semantic mapping based localization for autonomous driving”. Congratulations! 07. 2015 Kejie Qiu is graduated as MPhi., with thesis “Visible light communication-based indoor localization and path-planning system”. Congratulations! 06. 2015 We have won the Best Conference Paper Award at IEEE-CYBER, Shenyang! Congratulations!